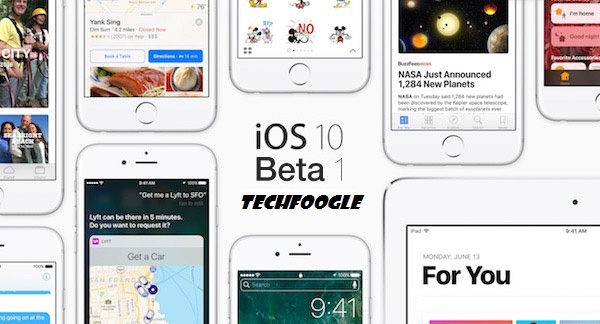 Less than ten days after the final version of iOS 10 went out to supported devices, a new beta of Apple’s mobile software is available to registered developers. iOS 10.1 beta 1 should also make it to the public beta channel (which anyone can join) by the end of this week. The one big new feature that iOS 10.1 brings is Portrait Mode for the iPhone 7 Plus. When used, this camera mode creates bokeh effects by using both rear snappers of the phone. So basically you’ll be able to blur the background when you’re shooting a portrait of someone, making the person stand out, giving the image an almost 3D-like appearance. This feature was announced when the iPhone 7 and 7 Plus became official earlier this month, but it wasn’t part of the iOS 10 release. Instead, Apple promised to have it out by the end of 2016. And now we know it’s iOS 10.1 that will finally make it available for iPhone 7 Plus owners. Additionally, the first iOS 10.1 beta has some unnamed bug fixes and performance improvements built-in, as you’d expect. Apple has also released new betas for watchOS 3.1, macOS Sierra 10.12.1, tvOS 10.0.1, and Xcode 8.1, but the changes for them haven’t been detailed. iOS developers are developing this 10.1 but those apps which have been currently working at lower versions will be compatible with the newest version or not because it is hardly an option to adapt to the newer if it doesn't provide us with that kind of mobility.